The Dissertation/Essay Proofreading Service is the first level of our dedicated essay proofreading and editing services for undergraduate and postgraduate students undertaking a Master’s or doctoral degree. This academic proofreading service is tailored to help MA and PhD students who have excellent English and excellent academic writing skills but would like a professional essay or dissertation proofreader to give a final polish to their essay, dissertation, journal article or any other academic manuscript. In this dissertation and essay proofreading service, our proofreaders will perform a thorough, rigorous and complete check of only three aspects of your academic text: grammar, punctuation and spelling. This service is therefore only suitable for native English speakers with flawless academic writing skills or non-native speakers who have an excellent command of English and an ability to write their academic manuscript in a clear, organised manner. If you are an ESL university student or postgraduate and you do not have a full command of the English language, this proofreading service would not suit you. 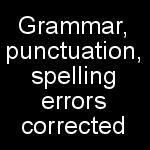 You will definitely need one of our more advanced proofreading services. 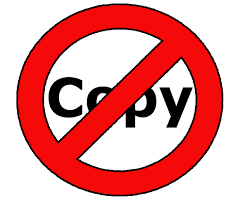 A free-of-charge sample option is applicable to this essay and dissertation proofreading service. You can email us up to 100 words of your text to [email protected]. Original: Education build a bridge between individuals and communities. Proofread: Education builds a bridge between individuals and communities. Original: This chapter on the utilisations of technology in schools are the first part of my thesis. Proofread: This chapter on the utilisations of technology in schools is the first part of my thesis. Original: I have finally submitted my dissertation on biology that makes me feel relieved. Proofread: I have finally submitted my dissertation on biology, which makes me feel relieved. Original: Numerous academic studies have been conducted in 2015 to bridge this gap in research. Proofread copy: Numerous academic studies were conducted in 2015 to bridge this gap in research. Original: The professor praised the good student's homework. Proofread: The professor praised the student's good homework. Original: I only paid $20 for the service. Proofread: I paid only $20 for the service. Original: This is to improve the staffs’ enthusiasm. Proofread: This is to improve the staff’s enthusiasm. Original: The teachers' way of teaching is very effective because he listens to everyone of us carefully. Proofread: The teacher's way of teaching is very effective because he listens to everyone of us carefully. Original: The court in the Hague reversed the decision. Proofread: The court in The Hague reversed the decision. Original: More people pay attention on this. Proofread: More people pay attention to this. Original: The importance of this academic study lies with the fact that it is the first of its kind. Proofread: The importance of this academic study lies in the fact that it is the first of its kind. 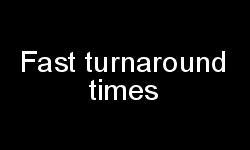 affect (verb), effect (noun); practise (verb), practice (noun); licence (noun), license (verb); principal (head, main, major), principle (standard, rule); loose (adjective), lose (verb). * I wa (was) responsible for enhancing the existing products. * The poet muses over the memorise (memories) of the past. Original: I have submitted my dissertation as requested. And I will wait f your feedback. Proofread: I have submitted my dissertation as requested, and I will wait for your feedback. Original: Organisations can through a variety of ways promote human resources. 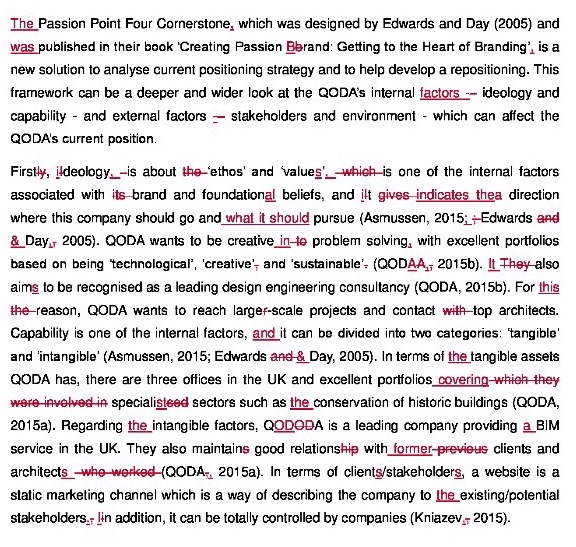 Proofread: Organisations can, through a variety of ways, promote human resources. Original: These departments have three functions, human resources planning, staff recruitment and career planning. Proofread: These departments have three functions: human resources planning, staff recruitment and career planning. Original: Advanced technologies have been introduced in China, many people now rely heavily on these technologies in everyday life. Proofread: Advanced technologies have been introduced in China; many people now rely heavily on these technologies in everyday life. One of the criticisms of the remuneration is that it is "too high". “When I explained what I need to the Ultimate Proofreader guys, they discussed with me what I needed and they recommended me the Academic Proofreading Service, although it is the cheapest proofreading services they do,” Alan, a Master’s degree student. “I opted for this category of Proofreading Services, as I am ok with writing my essays but I have a bit of weakness in grammar and the differences between American English and British English,” Sheza, a PhD student. “I decided to go for that one because it suited me best in terms of financial cost and level of intervention in my text. I did not want any significant changes in my text. I basically wanted a read-through from a professional person to remove any grammar, spelling or punctuation mistakes, as I am not confident with those. This excellent thesis proofreading service was really the perfect choice for me,” Caroline, a PhD student. "I would recommend the Academic Proofreading Services for all those students who are really good at academic writing but keen to ensure their text is error-free in terms of language,” Amina, a Master’s degree student. The Ultimate Proofreader is a UK-based provider of outstanding academic proofreading services. We are located close to London, in the southeast. For many years, we have been assisting undergraduates, postgraduates, academics, researchers and professors from various British and foreign universities with top-quality proofreading and editing services. We have clients from UK and overseas universities, such as the University of Cambridge, the University of Oxford, the University of Leeds, the University of Reading, and the University of Sheffield, Utrecht University, the University of New York, among many more. Our objective is to provide academic language correction services of a standard that can hardly be matched by any other provider. 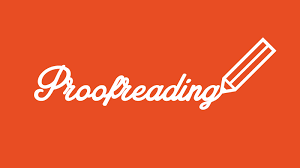 As an academic proofreading services UK-based provider, we have come to exist and thrive, fully aware that, if we do not deliver high-quality services up to the expectation of our clients, we would not stand an opportunity in this highly competitive market. That is why, delivering this type of language correction service to a high standard has been our first guiding principle. Our second guiding principle is affordability. We are equally aware that, if services that we deliver are highly priced, we would be beaten by other providers. So, we have been determined to provide outstanding, yet affordable and reasonably priced, dissertation proofreading services for academics, postgraduates, researchers and Master's or PhD students. We appreciate how students in particular often run a tight budget, especially with the high cost of university and advanced education in the UK or elsewhere. We have therefore priced our proofreading services for students and academics in a way that would make them accessible to everyone. The third guiding principle we have been working to is to deliver our excellent, affordable academic proofreading services in a timely fashion. 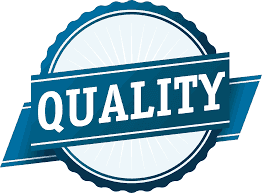 Although we try our best to complete assignments within fast turnaround times, we never give priority to speed over quality. 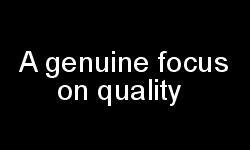 For us, as a professional service provider, priority always comes first. We are also a very friendly proofreading and editing services provider, and we are always happy to interact with our clients, whether before, during or after the completion of their assignments. We can be contacted via email ([email protected]) or by phone (07717750188), 24/7 around-the-clock.